Teeth that are significantly damaged or have imperfections can be enhanced through cosmetic dentistry. Our cosmetic dentist in West Hollywood can provide you with a comprehensive exam and determine the best options for your needs. 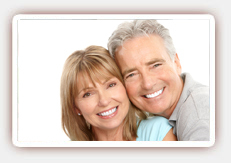 Dental veneers can correct severely stained, chipped or otherwise imperfect teeth. They are ultra-thin shells that fit over the fronts of teeth. Generally made of porcelain for the most durable, stain-resistant finish, veneers are often applied in just two to three dental appointments. Once our dentist determines that you are a candidate for veneers, your teeth will be prepared for the application of the veneers. This generally involves the removal of a small amount of enamel for a more comfortable fit. Once your new veneers are ready, they will be permanently cemented to your teeth for a brilliant new smile. Porcelain crowns can be used to correct many of the same problems that dental veneers treat, but they are a more extensive procedure, which means that most dentists use dental crowns for teeth that are severely damaged or decayed or have serious aesthetic problems that cannot be corrected with veneers. Dental crowns fit over the entire tooth and can be used to treat dental problems as well as cosmetic issues. If a tooth is broken, severely decayed or has undergone root canal treatment, our dentist may recommend a dental crown. Unlike veneers, which are generally made of porcelain, dental crowns can be made of porcelain as well as other materials, including porcelain fused to metal, or PFM, and metal. Contact our West Hollywood porcelain veneers specialist to learn more or to schedule your appointment.